Chocolates are no doubt the most common confections, and it is loved by both children and adults. Similarly, cannabis-infused chocolates are the most popular edibles. 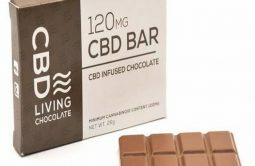 There are many brands on the market offering THC-infused chocolate bars, chocolate cookies and ice cream, but CBD Living creates an edible which belongs to a whole different class. Infusing CBD into chocolates with nanotechnology, the company creates an edible that’s not only delectable but also provides the body with all the therapeutic benefits of the cannabinoid (CBD). CBD Living Chocolate bars contain 99.5% pure CBD derived from organically grown hemp plants. Chocolate and pure CBD both have a very important cannabinoid neurotransmitter called anandamide (or AEA). Anandamide also known as the bliss molecule are cannabinoid receptors found throughout the body. They react to the cannabinoids in the Cannabis plant when ingested or inhaled. This chemical interacts with all of the cells in the body. It is as important as dopamine and serotonin. Anandamide plays an important role in appetite stimulation and has also been linked to anti-inflammatory and analgesic reactions triggered naturally by thorough physical activity and exercise. CBD has been found to react within the endocannabinoid system immediately after consumption; thus, bringing a lot of benefits to the entire human body. CBD Living Chocolate is formulated for 100 % bioavailability. Chocolates are no doubt the most common confection, and it is loved by both children and adults. Similarly, cannabis-infused chocolates are the most popular edibles. 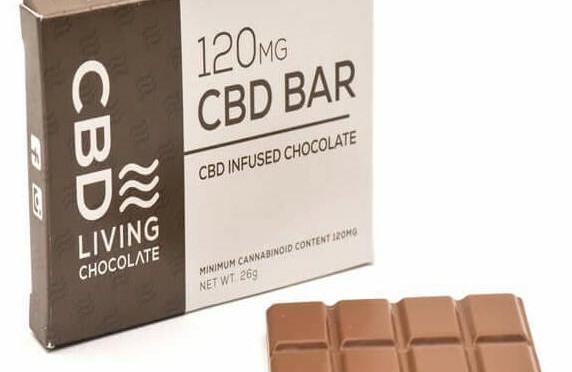 There are many brands on the market offering THC-infused chocolate bars, chocolate cookies and ice cream, but CBD Living creates an edible which belongs to a whole different class. Infusing CBD into chocolates with nanotechnology, the company creates an edible that’s not only delectable but also provides the body with all the therapeutic benefits of the cannabinoid (CBD). CBD Living Chocolate bars contain 99.5% pure CBD derived from organically grown hemp plants. Chocolate and CBD both have a very important cannabinoid neurotransmitter called anandamide (or AEA). Anandamide also known as the bliss molecule are cannabinoid receptors found throughout the body. They react to the cannabinoids in the Cannabis plant when ingested or inhaled. This chemical interacts with all of the cells in the body. It is as important as dopamine and serotonin. Anandamide plays an important role in appetite stimulation and has also been linked to anti-inflammatory and analgesic reactions triggered naturally by thorough physical activity and exercise. Tasty chocolate bar! Effective, too! Great for mind and body!!! Awesome chocolate bar. Gave me relief from pain while tasting great in the process. Best CBD chocolate bar I’ve tried so far. Both in terms of taste and effectiveness. So tasty and makes me Happyyyyy!! So sweet chocolate! my favorite!!! !